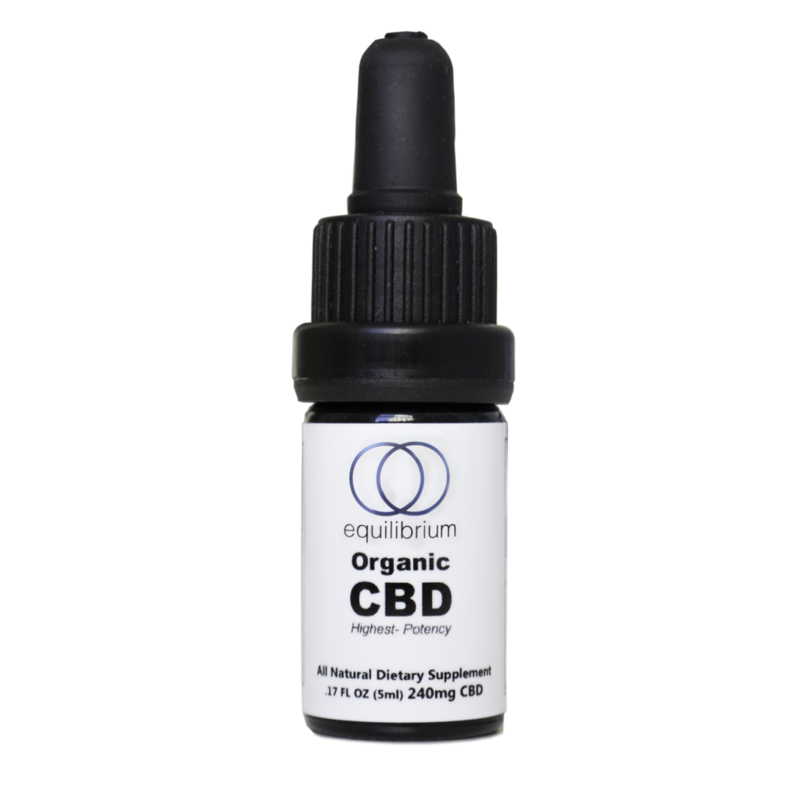 Version Equilibrium Nutrition’s Organically grown CBD Oil is the highest quality CBD product in the world and is 500x stronger than almost every CBD Oil on the market – Yet, we still sell it at the lowest price possible to allow as many people as possible to experience CBD Oil’s healing properties! Right now, pharmaceutical companies are scrambling to patent various forms of cannabinoids (the active ingredient in CBD). The reason for this is that research is so overwhelming positive that CBD Oil is being used in cases of brain cancer, autism, depression, anxiety, pain relief, and many more hard to treat dis-eases. The difference between cannabis/marijuana and CBD oil is that CBD is just the cannabinoids (cannibidiol) and not the THC. CBD does not get you high like THC does. THC causes euphoria by binding to special CB1 and CB2 nerve receptors in the brain. CBD does not bind to these receptors, which means you get all the benefits without the drug-like effects. This means CBD Oil is safe and effective to use any time of the day when you need it. Personally, I (Dr. Cabral) find it to be incredibly relaxing at night when I come home from work or an hour or so before bed. It helps me calm my nervous system and get into a deep, restorative sleep without any grogginess the next day. 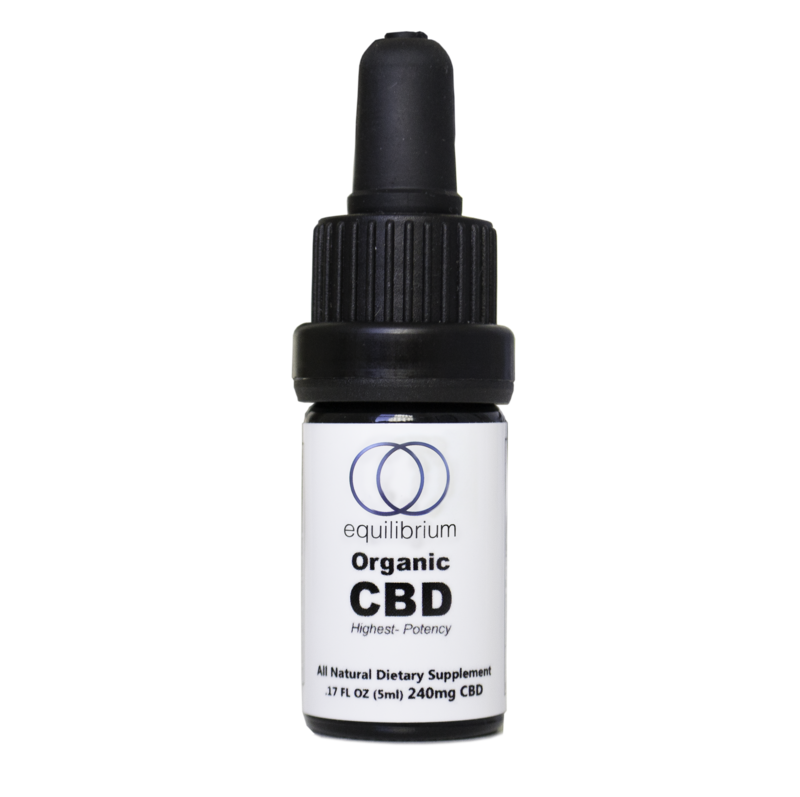 The difference with Equilibrium Nutrition CBD Oil is that the hemp oil used this product is pesticide free (other non-organic forms may contain harmful cancer causing pesticide sprays). Here are 5 additional ways Equilibrium Nutrition has dedicated itself to finding only the highest quality CBD in the world. 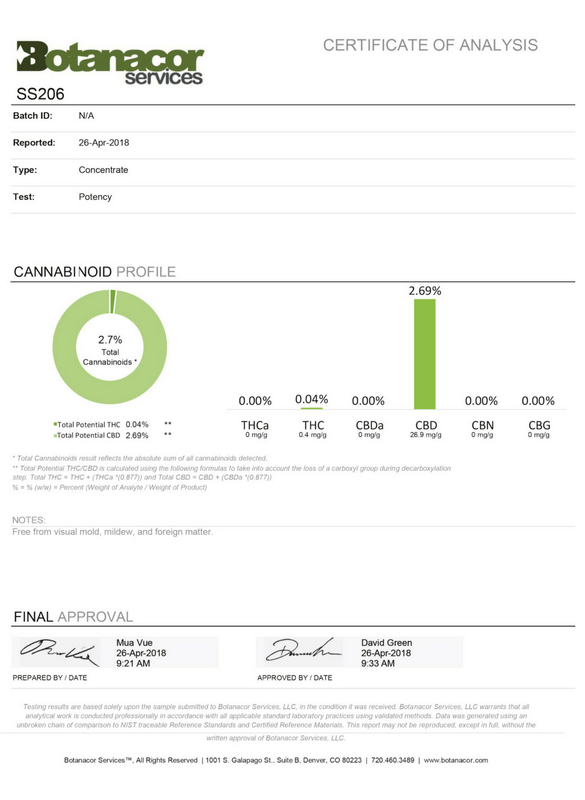 We purchase our product from the only CBD supplier in the world that offers a full spectrum cannabinoid extract. The Hadassah Medical School at the Hebrew University of Jerusalem sought to compare the effectiveness of a completely purified CBD extract versus a full-spectrum extract of cannabis flowers containing large quantities of CBD. The conclusion of the study was that the whole plant extract, which contained a large percentage of CBD but also contained traces of the other cannabinoids, proved far more effective than CBD-only solutions in alleviating inflammation and pain sensation. Our organic CBD oil is 100% organic and non-GMO. It is free of additives, preservatives, emulsifiers, and flavors so the product remains in its most pure and natural form. Unless your CBD Oil says it’s organic – it’s not. Every bottle of cannabis oil we provide to our customers has been subjected to rigorous laboratory testing to ensure that it contains the optimal amount of CBD and is free of over 200 different pesticides, heavy metals, and mycotoxins. Very few companies go this far to protect their customers and ensure the highest standards possible. We utilize CO2 extraction methods so there is no heat to degrade the product or solvents to pollute it. CO2 extraction retains the entire spectrum of cannabinoids as well as terpenes, essential oils, vitamins like B and D, trace minerals like zinc, and omega fatty acids (mainly 3 and 6) which all work together for maximizing healing effect. 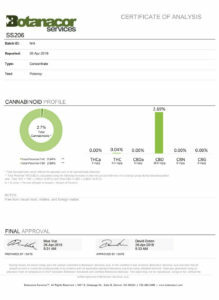 It was important to us to find an organic cannabis farm in either the United States or Canada that we could ensure consistent, heavy-metal free CBD oil. Our extracts are derived from therapeutic hemp (cannabis sativa) plants (not marijuana) grown on licensed organic farms in Colorado. 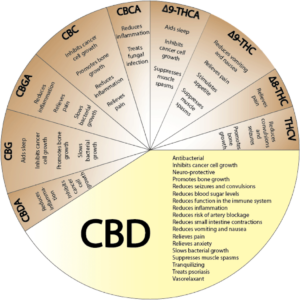 Getting the benefits of the natural cannabinoids in CBD Oil is easy. 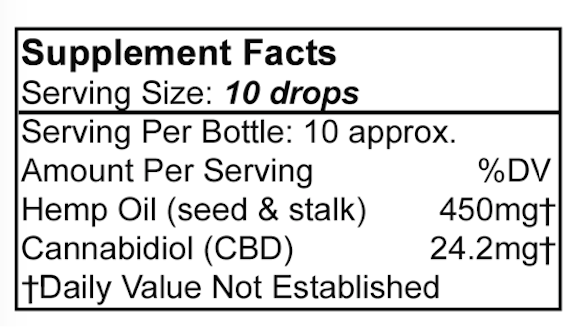 For therapeutic use place 1/2 dropper (24.2mg of active cannabidiol/CBD – not hemp oil) under your tongue and hold for about 2 minutes before swallowing. There is no upper limit to using CBD Oil and my recommendation is to use it 1-2x a day. My favorite time to use it is when I get home from work and want to switch into “relaxation mode” as quickly as possible. I typically feel the effects within 20-minutes. For daytime anti-anxiety or inflammation, you may take another 1/2 dropper upon waking or before breakfast. Listen in to Dr. Cabral speaking on the benefits of CBD Oil & What Drug Companies Don’t Want You to Discover! Finally It’s Legal & Available in the U.S. Although hemp and CBD Oil have never had any drug like effects, previous cannabis laws prevented people in America (and most of the world) from being able to purchase this healing plant-based natural medicine. Finally, it is available for all of us to benefit from and I can’t recommend it enough to try it out for yourself and see how it may improve your overall health & wellness! Equilibrium Nutrition stands by every product we produce and guarantee it is made from the highest quality ingredients on earth with no contaminants, so that you can feel confident using our brand and sharing it with friends and family! All of our wellness products are lab-tested for quality and purity. Our product is concentrated to approximately 50mg cannabinoids per milliliter of oil. We strive to only deliver the highest grade products in their most pure and simple form.